In recent years the Department of Anesthesiology has seen the retirement of several distinguished professors who have made substantial contributions to the Department. Collectively, they represent hundreds of years of service to the University of Virginia. Dr. Arnold first came to the University of Virginia in 1973 as a resident in anesthesia, after earning his medical degree from the University of Rochester. 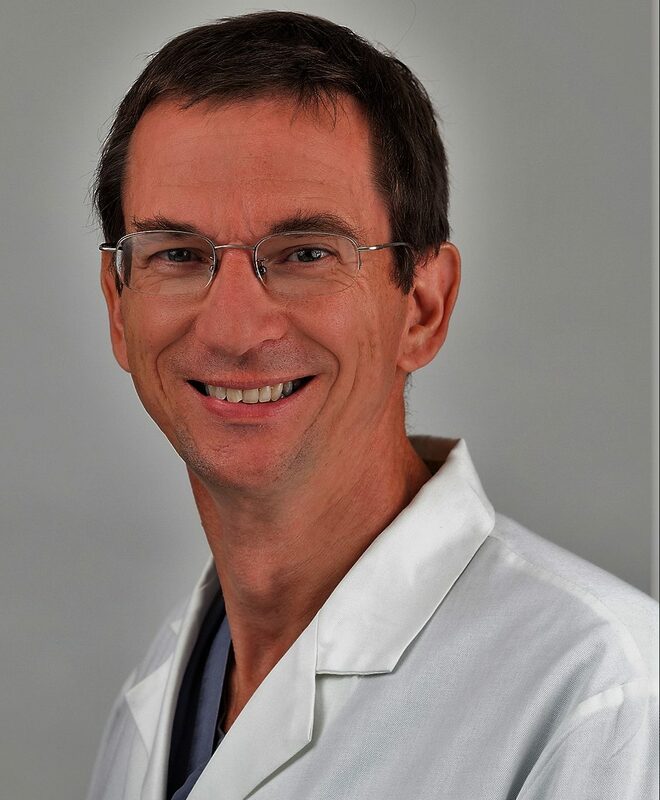 After completing his anesthesia residency, Dr. Arnold worked as a Fellow in Medicine and Anesthesiology before his appointment to the faculty of the Department of Anesthesiology. 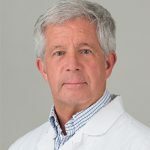 Dr. Arnold has been active in the American Society of Anesthesiologists and the Virginia Society of Anesthesiologists, serving for nearly 20 years as a member of the House of Delegates for the national society. He is nationally and internationally recognized for his expertise on chemical dependency, particularly as it relates to physician impairment. Dr. Bedford received his medical degree at Cornell University and completed an anesthesia residency at the University of Pennsylvania. He was appointed to the faculty at UVa in 1977. In addition to his work here, he held appointments as the Chair of Anesthesiology and Critical Care Medicine at Memorial Sloan Kettering Cancer Center, at Cornell, and at the Federal Drug Administration. More recently, he divided his time between UVA and the University of South Florida until his retirement in 2008. 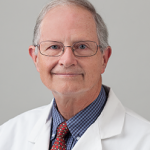 Dr. Berry completed his undergraduate degree at UVA and entered the School of Medicine in 1955. Trained both as a pediatrician and an anesthesiologist, Dr. Berry joined the faculty of the Department of Anesthesiology upon completing his residency in 1966. He taught at UVA for 43 years, until his retirement in 2009. Active nationally and internationally as a sought-after speaker, Dr. Berry has traveled to six continents, authored two textbooks and dozens of chapters and professional papers. Cosmo A. DiFazio, M.D., Ph.D.
Dr. DiFazio earned his Ph.D. in Pharmaceutical Chemistry and Biochemistry from the University of North Carolina, Chapel Hill. After earning his M.D. from that institution, he came to the University of Virginia for his residency in anesthesia and was appointed to the faculty in 1964, when he graduated from the residency. The Cosmo A. DiFazio Professorship in Anesthesiology was created to honor his many contributions. 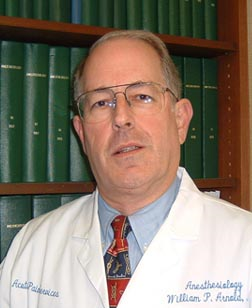 John C. Rowlingson, M.D., has occupied the chair since 2005. Charles G. Durbin, Jr., M.D. Dr. Durbin received his medical degree from The Johns Hopkins University in 1970. He completed two residencies, one in internal medicine at Baptist Memorial Hospital and a second, combined with a fellowship in anesthesiology, at the University of Pennsylvania. He joined the UVA Department of Anesthesiology in 1978. He served as the University’s Medical Director of Respiratory Care for over 20 years. Dr. Durbin also served the UVA Health System as the Medical Director of the Surgical Intensive Care Unit, and the Post Anesthesia Care Unit. Dr. Durbin contributed greatly to the growth and development of our department. He educated and mentored countless students, residents, and faculty over his 39 year career and was the driving force to create our first Critical Care Fellowship program of which he was the director for over 15 years. Dr. Durieux completed a residency in Anesthesiology and a research fellowship in Molecular Pharmacology at the University of Virginia. 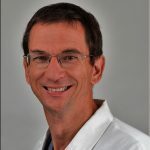 He joined the Anesthesiology faculty in 1994 and received secondary appointments in the Department of Neurological Surgery and the Department of Pharmacology in 1995 and 1996. Dr. Durieux has contributed greatly to the growth and development of the department. He has mentored numerous students, residents, faculty and research trainees over the years. As the chair of the Anesthesiology Clinical Research Committee, his service to the department was critical to our missions. His contributions to Global Health, the education and clinical practices of anesthesia have shaped countless careers for decades. In retirement, Dr. Durieux will continue his on-going clinical research and Global Health work with the University. 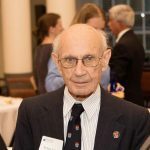 Dr. Epstein came to the University of Virginia from Columbia University in 1972, when he was appointed professor and chair of the department. During the 24 years he held this position, the department experienced tremendous growth in size and reputation, clinically and academically. Dr. Epstein was appointed to the Harold Carron Professorship in Anesthesiology in 1996 and occupied this chair until his retirement in 2002. In honor of his service to the department, the Robert M. Epstein Professorship in Anesthesiology was created. Zhiyi Zuo, M.D., Ph.D., currently occupies the Epstein chair. Dr. Hamill-Ruth came to the University of Virginia as a Pain Management Fellow in Anesthesiology. After completing an additional fellowship in Critical Care Medicine, she joined the Department in 1988. 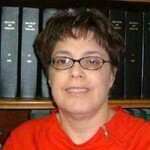 Dr. Hamill-Ruth was the Director of the Pain Management Center for over 15 years. She also served the University as an Associate Director for the Surgical Intensive Care Unit, Director of the Interventional Pain Service Musculoskeletal Center, Director of the Rheumatology Pain Elective and Director of Clinical Pain Research. During her 30 year career, she taught extensively in the SICU, Pain Clinic and Anesthesia Resident Lecture Series. Dr. Hamill-Ruth has a significant national reputation and in retirement, plans to continue speaking on Pain Medicine and Safe Opioid Prescribing. 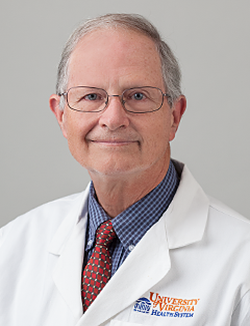 Dr. Rollingson came to the University of Virginia in 1974 for his residency in anesthesiology and a pain management fellowship and joined the department in 1978. During that time, he was a pillar of education within the department as well as nationally and internationally. 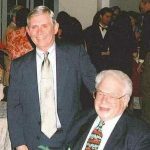 For 29 years he was instrumental in the education of fellows as the director of the pain management fellowship program. He was also instrumental in establishing national pain program guidelines. Dr. Rollingson was the Director of the Pain Management Center for 18 years. 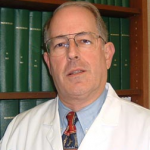 In 2005, he was awarded the Cosmo Di Fazio Professorship in Anesthesiology. In 2009, the Rowlingson Lectureship in Pain Medicine was established in his honor and in 2015 he received the ASRA Labat Award in recognition of his outstanding contributions to the development, teaching and practice of anesthesia. Dr. Ross received his medical degree from the University of Virginia and subsequently completed an anesthesia residency in our department. In 1971, upon graduation from the residency, he was appointed to the faculty and taught for 37 years until his retirement in 2008. In 2000, he received an MBA from William and Mary. 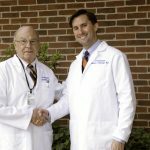 Dr. Ross was the founding Medical Director of the Virginia Ambulatory Surgery Center, now known as the UVA Outpatient Surgery Center. Dr. Julianne Sando received her Ph.D. in Pharmacology from the University of Michigan and was a research fellow at the NIH National Cancer Institute. She joined the faculty at the University of Virginia in 1982, moving from the Department of Pharmacology to the Department of Anesthesiology in 2000. The focus of Dr. Sando’s research has been protein kinase C signaling systems, and she authored or co-authored over 70 research papers and book chapters. She reviewed and edited widely for a number of scholarly journals and served as mentor to many students, fellows, and younger faculty members. In retirement, she continues these mentoring activities through Sando Science Editing. Dr. Karen Schwenzer received her medical degree from SUNY Downstate Brooklyn. 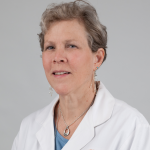 After completing a fellowship in Critical Care Medicine at UVA, Dr. Schwenzer joined the department in 1986.Throughout her 30 year career, she served in various capacities as Associate Director of the Surgical ICU and Chair of the University Institutional Review Board. Dr. Schwenzer also served as President of the Carolina-Virginia Society of Critical Care Medicine. She represented CVSCCM as a Delegate to the Society of Critical Care Medicine and was instrumental in bringing this regional critical care society into the national Society of Critical Care Medicine.